We welcome the opportunity to meet with you and provide our service. We do business with many companies among whom are General Electric, VersaTech, Boiler Tube Company of America, Drill-Quip, BMW, Michelin, Mitsubishi and Mercedes Benz. Is Your Business In Need Of Welding Services? Contact Weld Team Contracting Today For More Information. Interested In Our Welding Fabrication Services? "Our company has used their services at GE Vetco and GE Gas Turbine for over 25 years, whereby they performed fixed price bid work in building stainless steel fuel nozzles and subsea piping as well as staffing services. 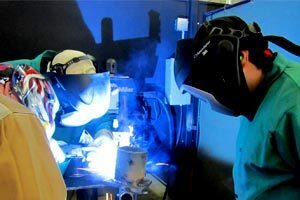 We started using Metalskills and WeldTeam after being recommended by GE Vetco and the GE Gas Turbine divisions. Hydril has employed their services in staffing and self-performance bid work since 2014. I have worked with WeldTeam and Metalskills on several projects and have always been completely satisfied. They do an excellent job, meet or exceed all deadlines, and offer the most competitive rates in town. We have also hired them on occasion for extra jobs in critical systems and high-pressure pipe welds. In some instances with no drawings (as in a build as you go). They have been very reasonably priced, and always perform the task to our utmost satisfaction. I'm happy to recommend the services provided by WeldTeam and Metalskills." Interested In Our Welding Contracting Services? WeldTeam is here to shorten the installation gap between you and the world of specialized welds. We do business with many companies among whom are General Electric, VersaTech, Boiler Tube Company of America, Dril-Quip, BMW, Michelin, Mitsubishi and Mercedes Benz. 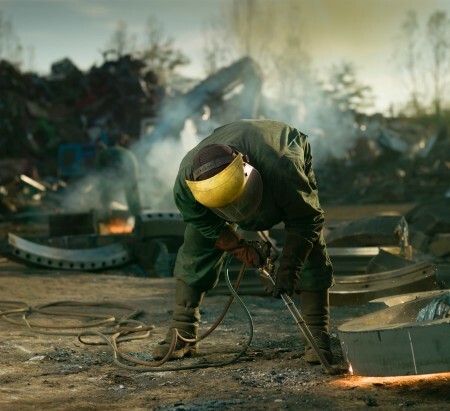 We enjoy challenges, excel in fulfilling deadlines and offer the competitive prices for complex welding. We welcome the opportunity to meet with you and provide our service. We are confident that you will not be disappointed. Contact us today to see how we can assist with your project.